Pfeiffer Art Supply is home to non-toxic handmade watercolor paints. We love birds and have decided to name each of our colors after a different bird. Each pan comes labeled. 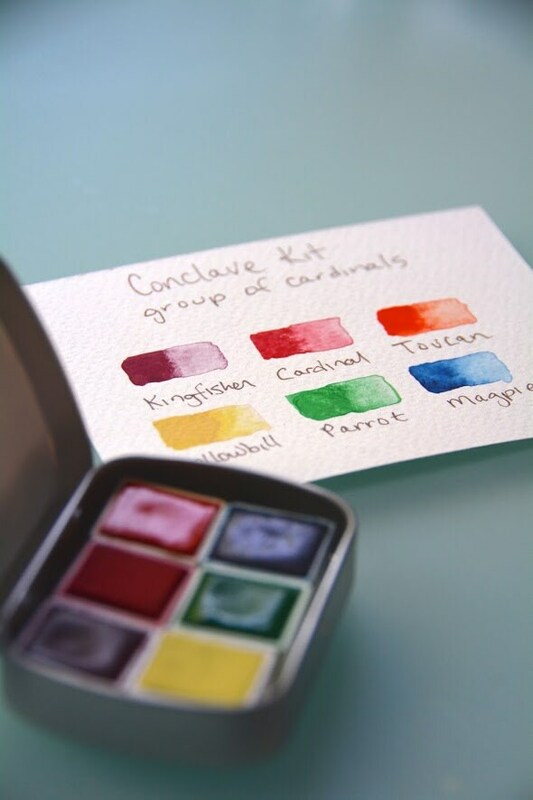 Each complete kit comes with a place for mixing your paints and a small water brush. Also each pan is magnetized to the tin so that you can buy individual colors from our shop in the near future. This kit includes 6 half pan size colors. 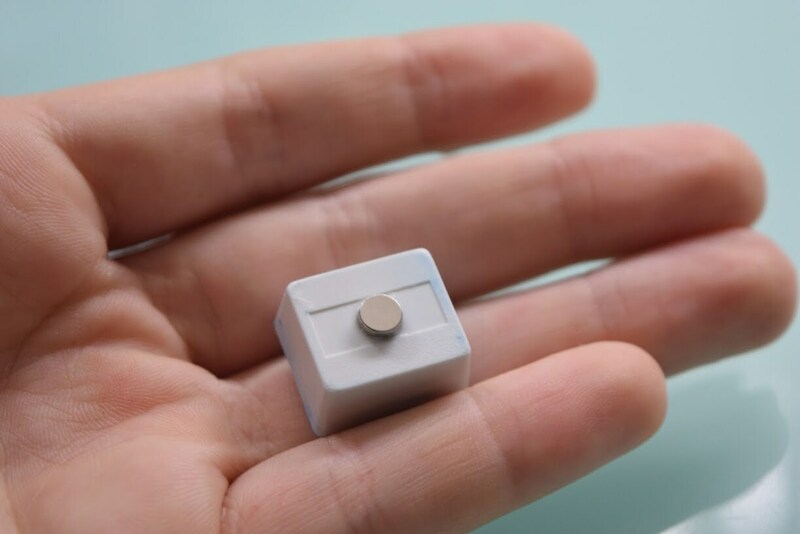 This mini kit is our CONCLAVE kit. 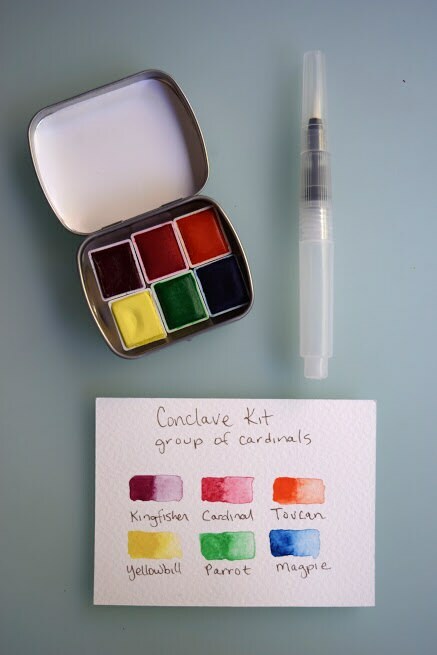 Did you know that a group of Cardinal birds is called a Conclave? Tins can be personalized if you like. Just add in notes in quotes what you would like on your tin. Note - Please keep out of reach from small children as the colors can be a choking hazard. These are not for human consumption.